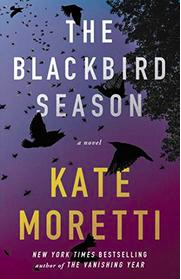 The latest gripping read from Kate Moretti starts with an eerie spectacle: thousands of dead birds fall from the sky onto the sacred ground of a small town's baseball field. It's the first act of desecration in a story that navigates the grey areas of abuse of power and defilement of trust. The panic over the birds sparks a chain of events that unravels the bonds of the whole community. Told from several points of view, the story circles around Nate Winters, a beloved teacher and baseball coach who is accused of taking too close an interest in one of his students. The languid atmosphere that Kate Moretti conjures up in her crumbling town, wilting under its poverty and summer heat, belies the pace and verve of this nail-biting suspense.